The Road Safety Authority has recently caused consternation by publishing a list of 600 motorcycles highlighting those which it says are suitable for taking the motorcycle test. Unsurprisingly, the list is not exhaustive and contains many omissions. MAG Ireland understands that the RSA circulated the list internally ahead of the publication and were advised that it was both inaccurate and incomplete. We accept that the intention here was honourable and well meaning – a genuine attempt to bring clarity to a complex licensing and testing regime – so would it not have made sense to ask for, and listen to, the views of those tasked with dealing with its consequences rather than publish a flawed document? 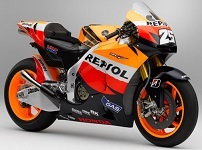 Who thought it necessary to tell us that Honda’s RC212V MotoGP bike is “not suitable for test”? We expect better from a body such as the RSA with the resources of the state at its disposal and whose remit it is to provide timely and above all appropriate information. We in MAG Ireland have dealt with calls from motorcycle dealers and ADI’s alike who are frustrated at the approach taken by the RSA in this instance. Having looked at the way in which the RSA has presented the information, it’s apparent that the list is aimed at two groups – one on the old 25kW restricted learner permits and the other under the system introduced last January. Since the RSA has not published the source of its data, specifically the power and weight figures for the motorcycles concerned, it is difficult to verify the accuracy of the information as presented. This is the aspect our researchers are currently looking into. The list applies ONLY to motorcycles used for the learner test. The criteria for the test motorcycle are tighter than those for the equivalent license category. Just because your learner permit covers you to ride a particular motorcycle, it does not automatically follow that you can use that particular motorcycle to sit your test. Provided your motorcycle complies with the requirements for a “representative vehicle” as set out in the legislation, you are NOT precluded from using it for the test just because it does not appear on the RSA list. The way this list has been presented has brought unnecessary confusion to a licensing system which, while complex, is well understood among the ADI community tasked with providing training and indeed the examiners tasked with conducting tests. MAG Ireland is currently sourcing data on each of the 600 motorcycles listed by the RSA and will be reporting our finding s in due course. MAG Ireland’s A2 License Facts page can be found here. Click Here for the RSA page containing the list. Please let us know if the link is taken down.